Could you name a startup success story from Argentina? If the answer is yes, chances are you’re thinking of MercadoLibre. The eleven-year-old e-commerce website went public on the Nasdaq with a US$400m IPO in 2007, but the story doesn’t stop there. The company announced this Friday that it will soon open a R&D center in Silicon Valley. MercadoLibre is an auction and e-commerce platform which facilitates transactions between individuals and businesses. Its model is quite similar to eBay’s, which has been shareholder in the company since 2001. Created in Argentina in 1999, MercadoLibre now has operations in twelve Latin American countries and Portugal. Its headquarters are located in Buenos Aires, where the company recently inaugurated brand new offices. 400 of its 1,600 employees work there, dispatched on five floors. In comparison, MercadoLibre’s office in Silicon Valley seems very little; according to the company; it will start with a staff of only five. Yet, not taking MercadoLibre’s Palo Alto office seriously would be a mistake. The CTO of the company, Daniel Rabinovich, describes it as “an important milestone for the company”. 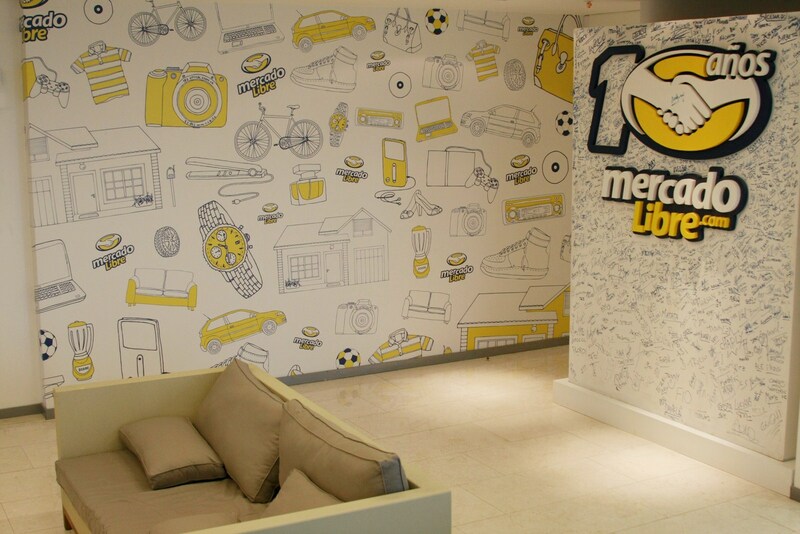 MercadoLibre also announced an initial investment of US$1million. Rather than a commercial office, it will be a R&D center, complementing the two tech developments hubs the group runs in Argentina. It seems natural for MercadoLibre to open an office in Silicon Valley as the company has always maintained ties to the region. You could even say it was born there, or at least its idea; it was during its MBA at Stanford that Marcos Galperin decided he would create the startup. In an interview with Argentine daily newspaper La Nacion, Marcos Galperin, now the company’s CEO, gave more details on this new center in Palo Alto and its goals. One of them is to attract talent, as many highly qualified Argentines and Latin Americans live there. Another is to keep an eye on the latest trends and help the company to continue innovating. One of the key activities of this new R&D center will be to contribute to MercadoLibre’s effort to open its platform. The company recognizes it’s a big challenge, requiring from its tech team of 300 to “rebuild the platform from scratch”. However, this is probably worth the hassle. An open API means that independent developers will soon be able to create applications around MercadoLibre and its payment platform MercadoPago. These applications could focus on segments such as sellers or on specific devices (tablets, TV sets…). The newly created Palo Alto R&D center is a new step in this direction; its ultimate ambition is to contribute to the creation of an ecosystem around the company, stimulating internal and external innovation. What do you think of this announcement? Would you develop an app for MercadoLibre’s products?